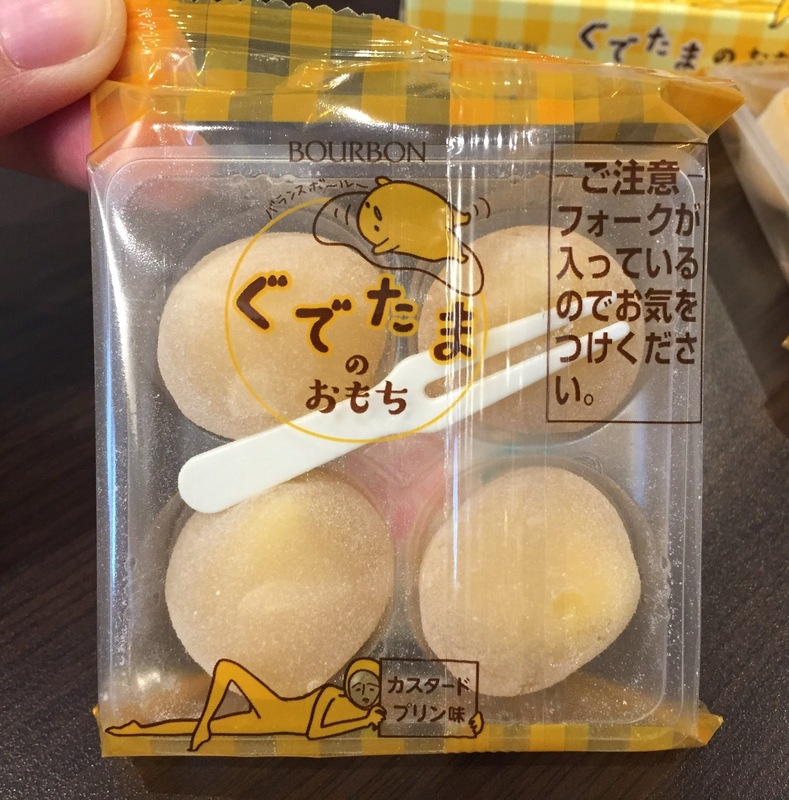 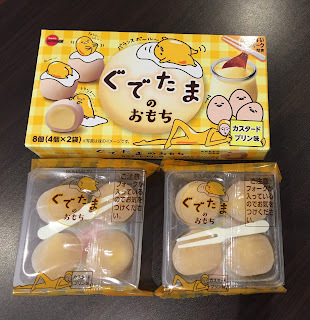 Bourbon launched a limited time snack "Gudetama's Mochi" on March 7, 2017. 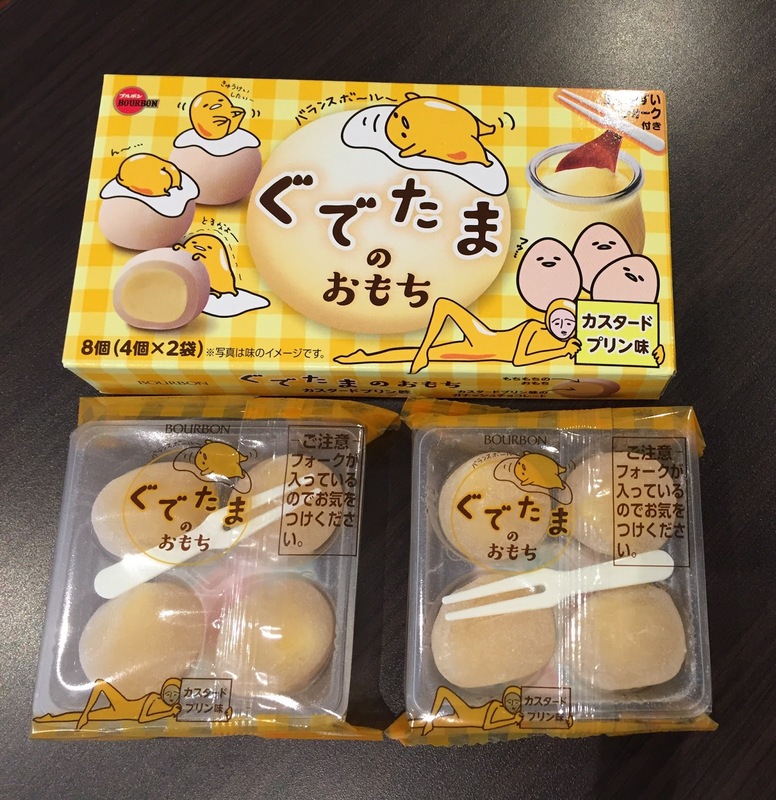 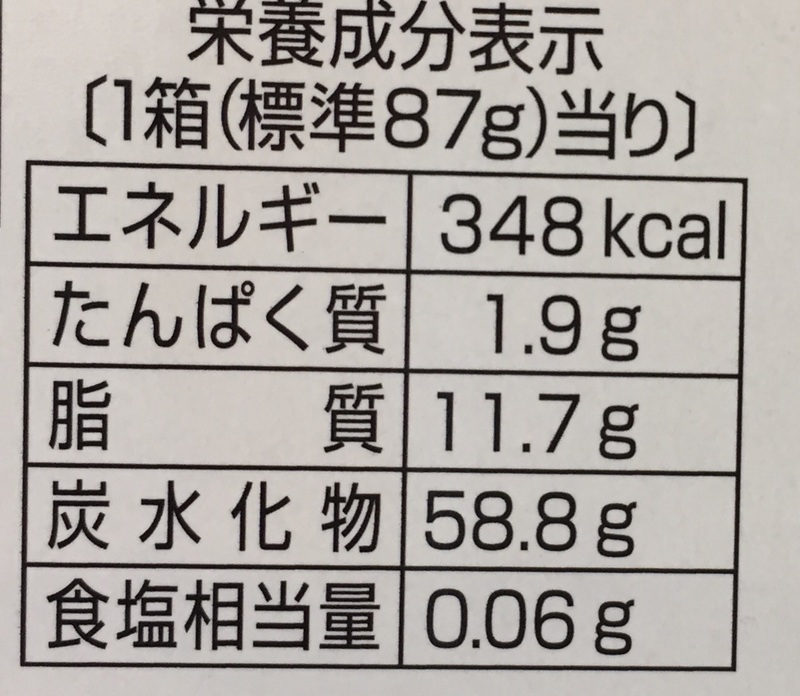 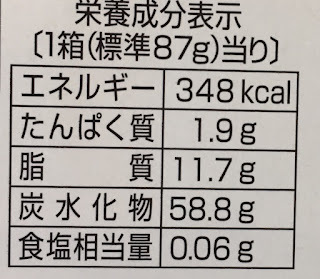 The actual name is "ぐでたまのおもち (Gudetama No Omochi)." It's a mochi (sticky rice cake) with custard pudding flavored ganache chocolate filling. There're 2 trays with 4 mochi balls. 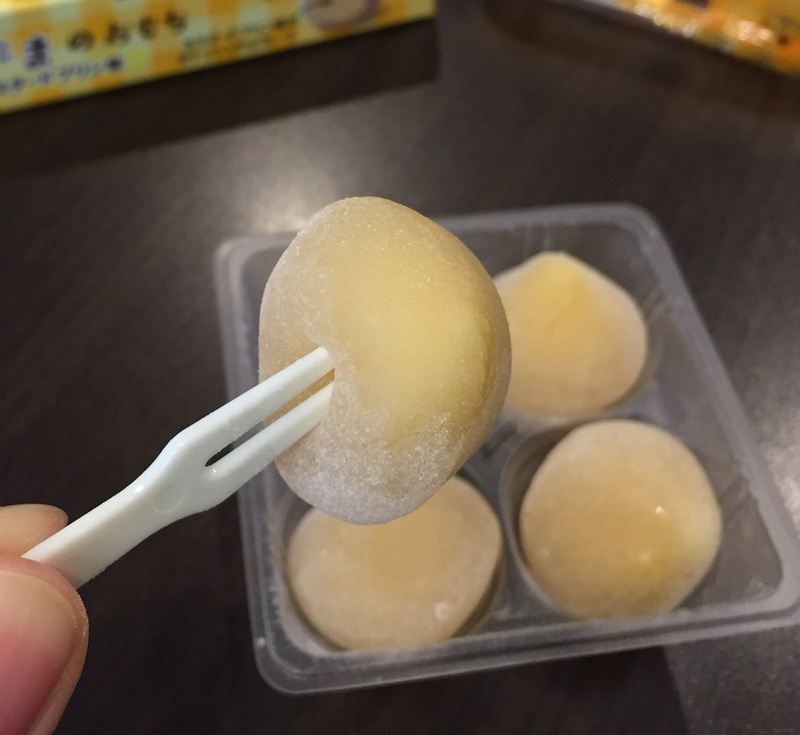 On the right side, it says to be careful since there's a fork inside. Compared with my index finger. 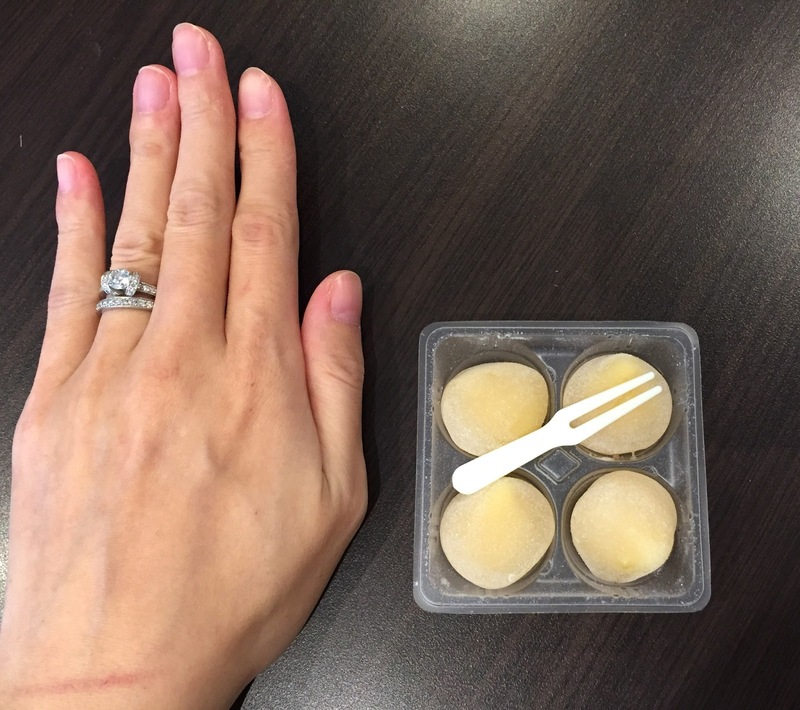 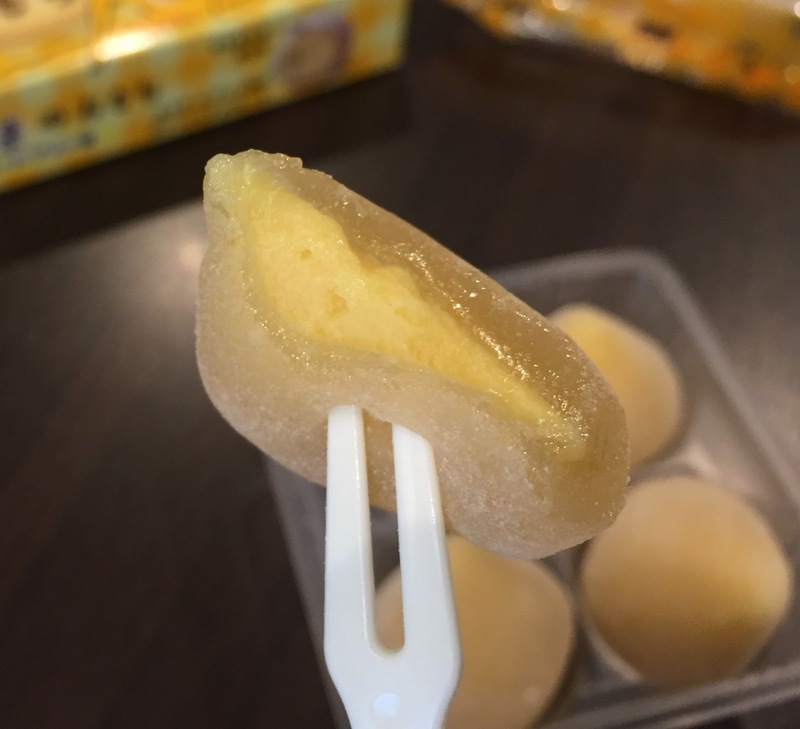 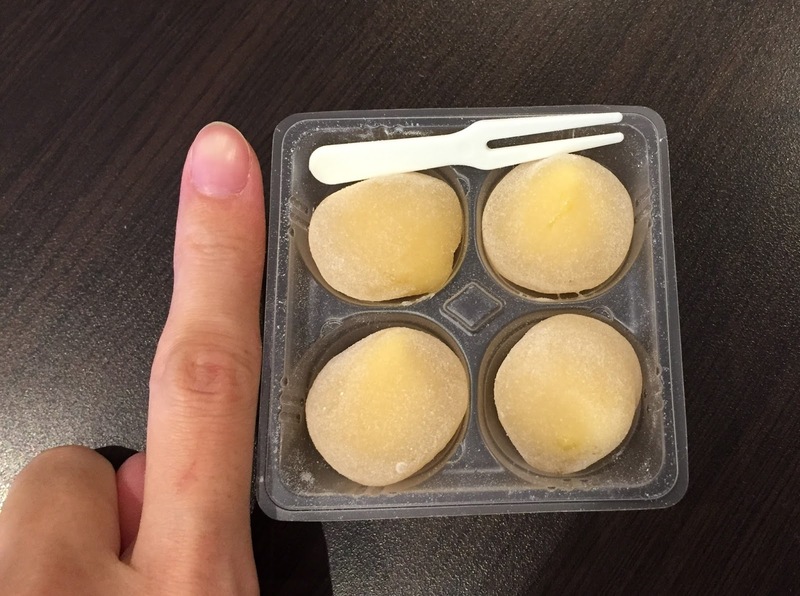 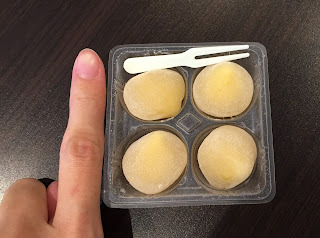 The mochi was so soft that the plastic fork went in easily. 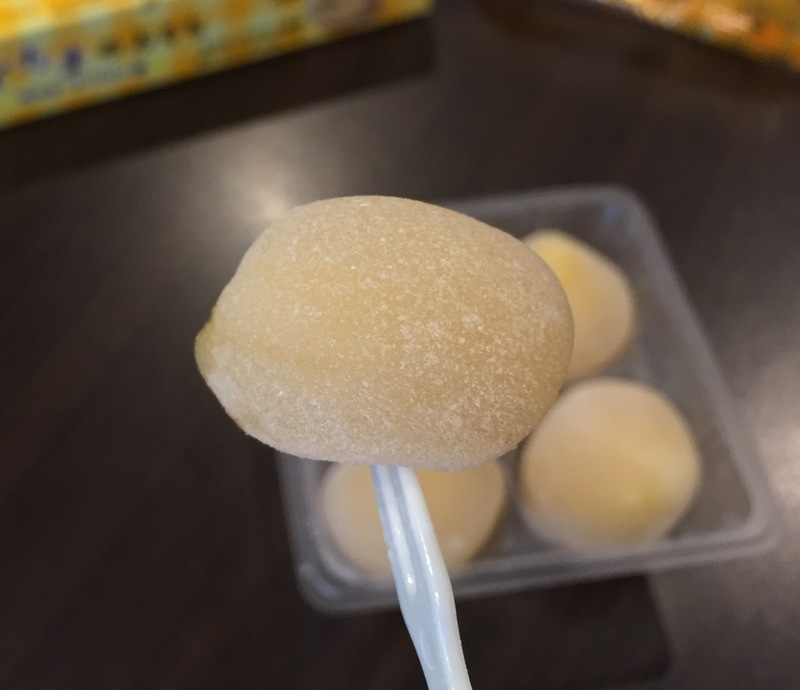 Each mochi was coated with powder. 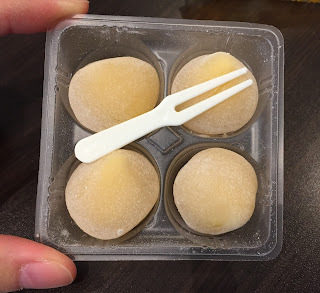 The mochi was very soft and chewy, and the filling was light and smooth chocolate filling with pudding flavor. Mochi is used for traditional Japanese sweets called Wagashi (和菓子) and it's a great combination of Japanese sweets with western confectionery, and I ate all the mochi at once. 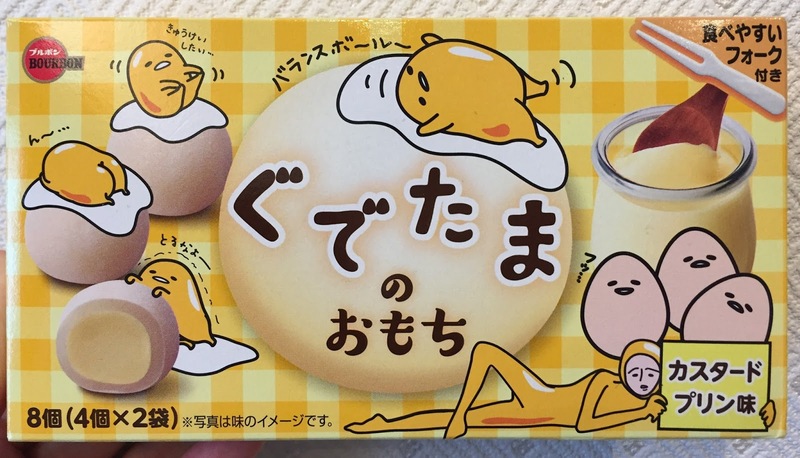 Gudetama Sunny-Side Up Style Kyara-Kure! 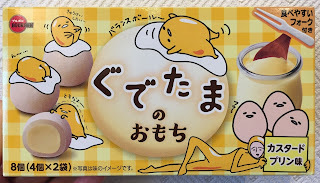 Bakauke x Gudetama "Tamago Kake Gohan"